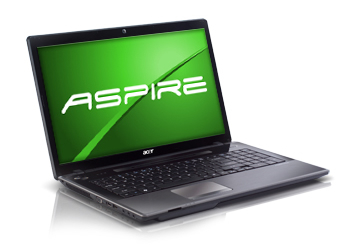 Acer Aspire 7750G (AS7750G-6854) is powered by second generation Intel Core i5 processor (i5-2450M). This Acer laptop has a large 17.3-inch CineCrystal display with HD+ (1600 x 900) resolution and LED backlight technology. AS7750G-6854 is equipped with AMD Radeon HD 6650M graphics card (1 GB), 4 GB DDR3 SDRAM, 500 GB SATA 5400 rpm, Intel HM65 Express chipset, fingerprint reader, 6-cell Lithium Ion 4400 mAh battery, webcam, HDMI, VGA, three USB ports, Network (RJ-45), 802.11b/g/n WLAN, and Gigabit Ethernet LAN. The main disadvantage of this laptop is it has no Bluetooth.